Blue Heeler is a Hallberg Rassy 39 Mark II, one of only 209 built between 1991 to 2003. Read more about the 39 from the Hallberg Rassy website. 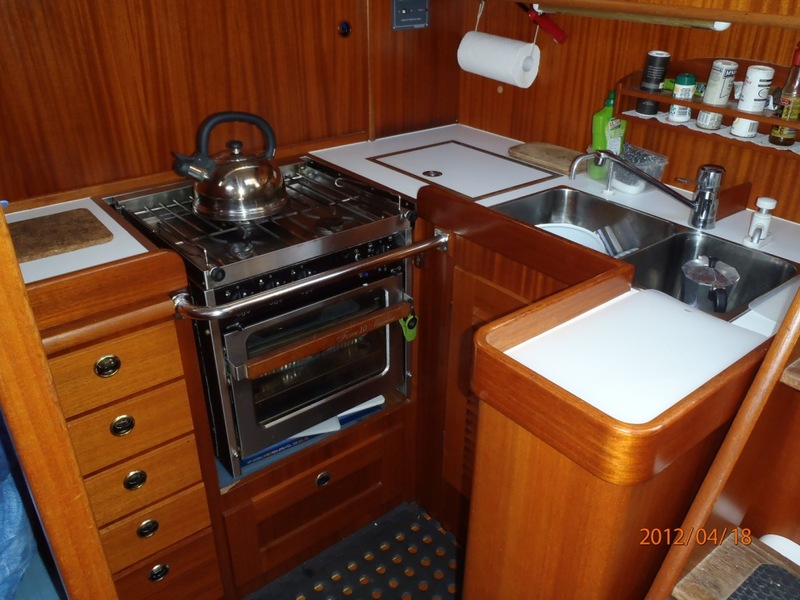 Blue Heeler has a galley complete with a Force 10 three burner stove, a 40 litre fridge/freezer and two sinks. Plenty of cupboard space for the live-aboard cruising life. The saloon has two long settees; the starboard side lifts into a bunk-bed. The centre saloon table folds up into a large table, capable of sitting eight people. In late 2013, the old teak deck was removed with a new teak deck. The work took six weeks in Thailand. No longer are there thousands of tiny screw holes to worry about! The work was performed by Phuket Interwoodwork, at Boat Lagoon, Thailand.